Find whatever profile at hand. 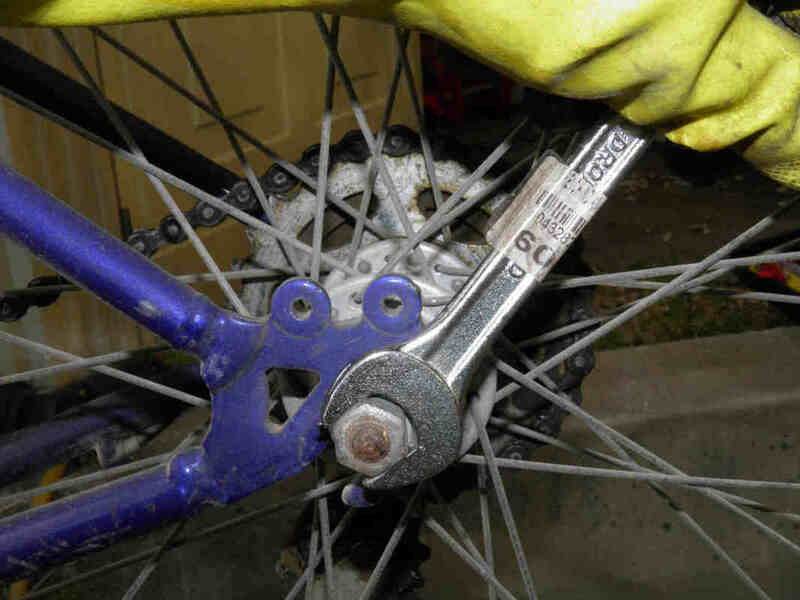 An oval aluminum tube was used in this case.​ You need some 2.5 m.
Use a flat spanner to slacken the nuts that hold the rear wheel. Loosen equally the right and left nuts. 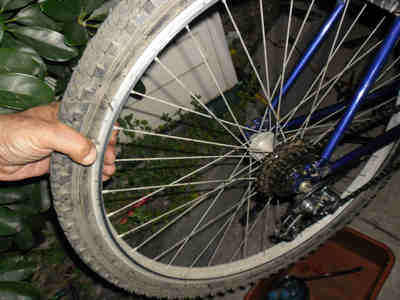 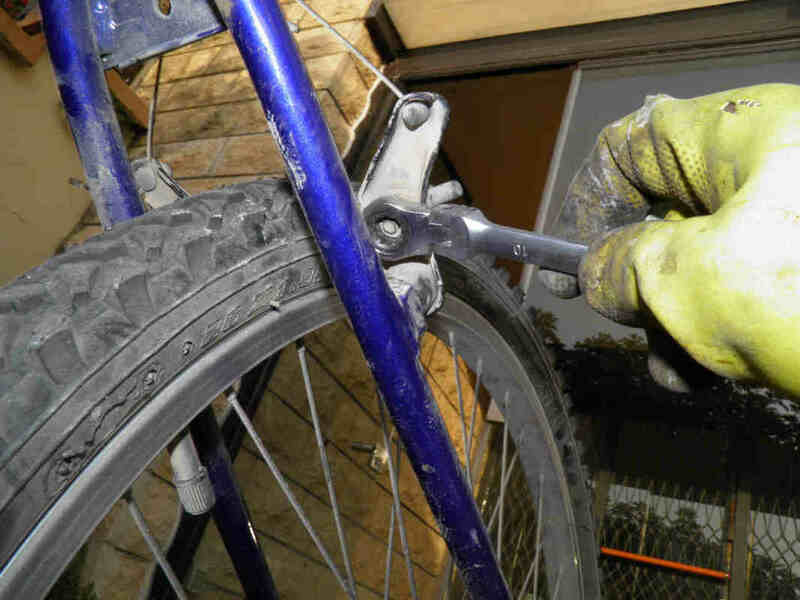 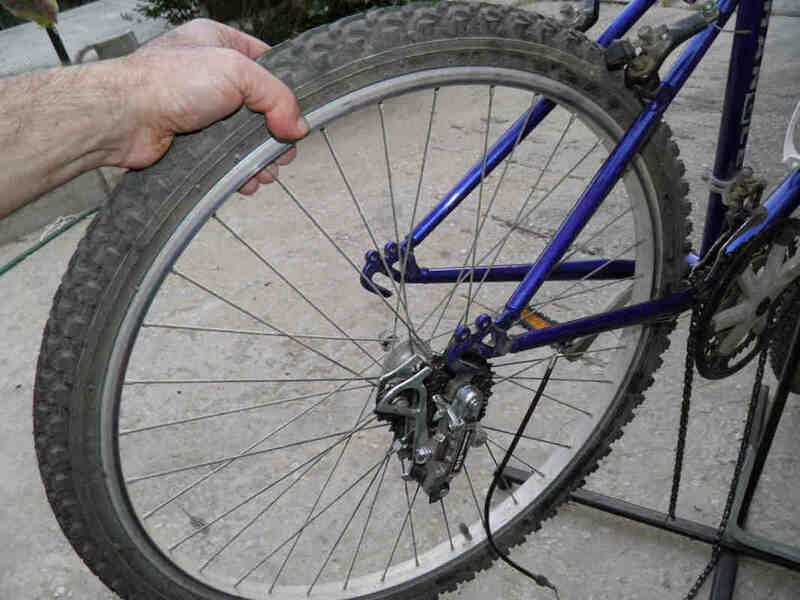 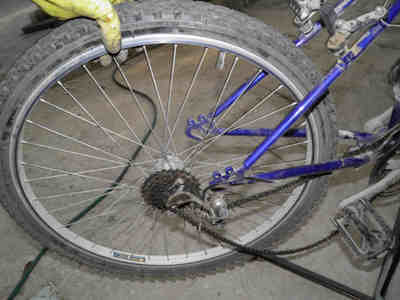 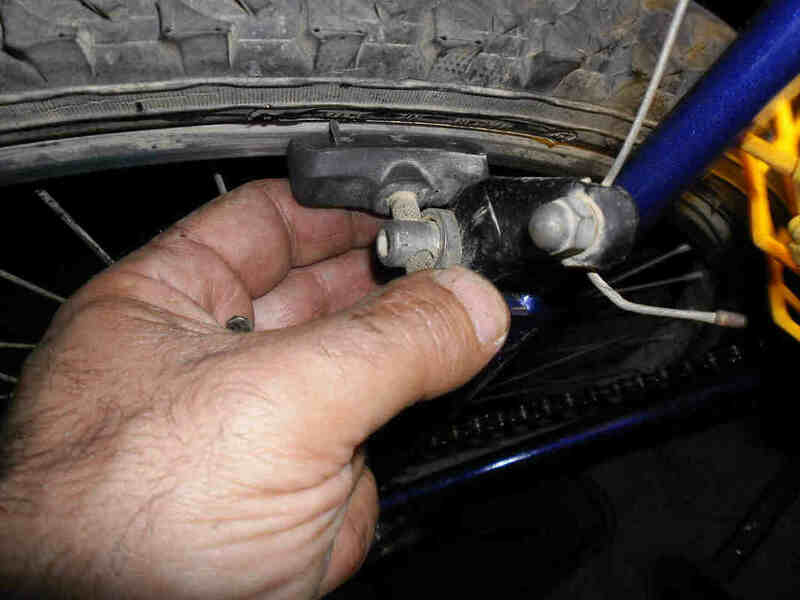 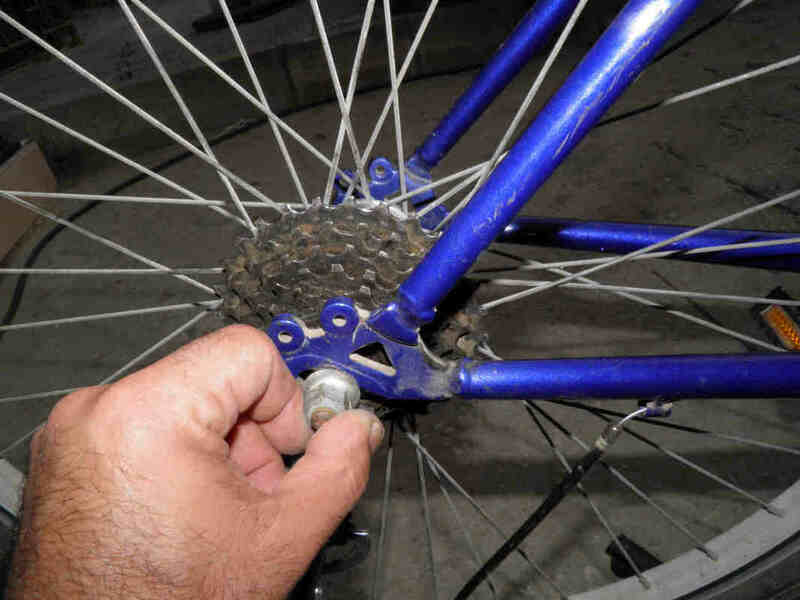 Introduce the rear wheel into axle into the slots of the bike frame. 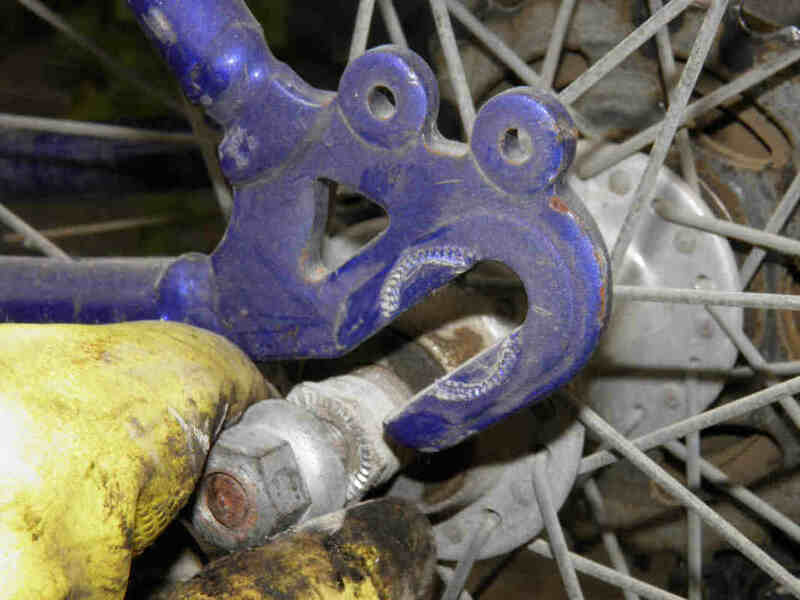 Slightly tighten its holding nuts by hand. 2- that you pulled your wheel back enough to make sure the nuts are not at the edge. 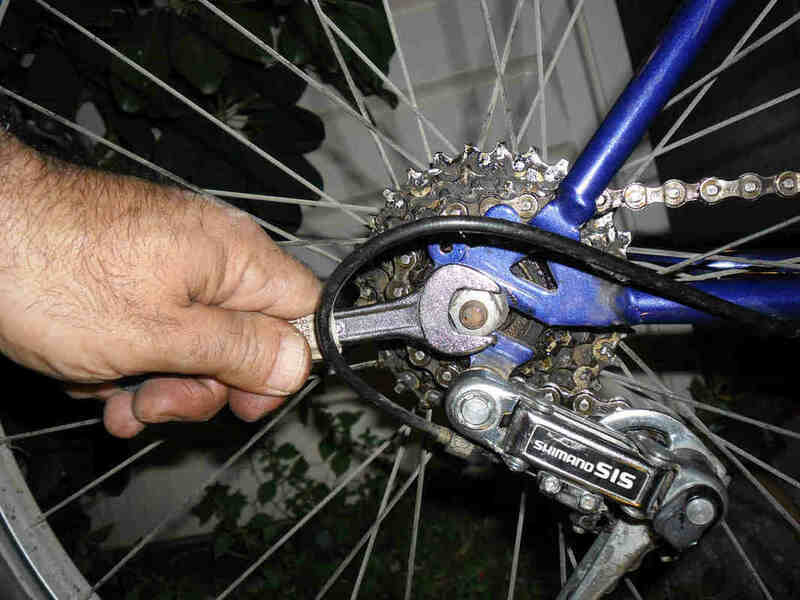 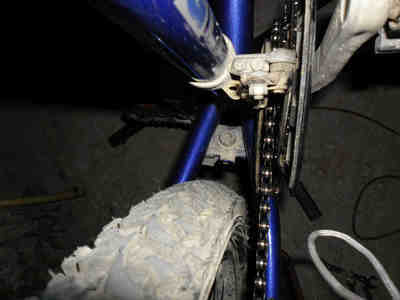 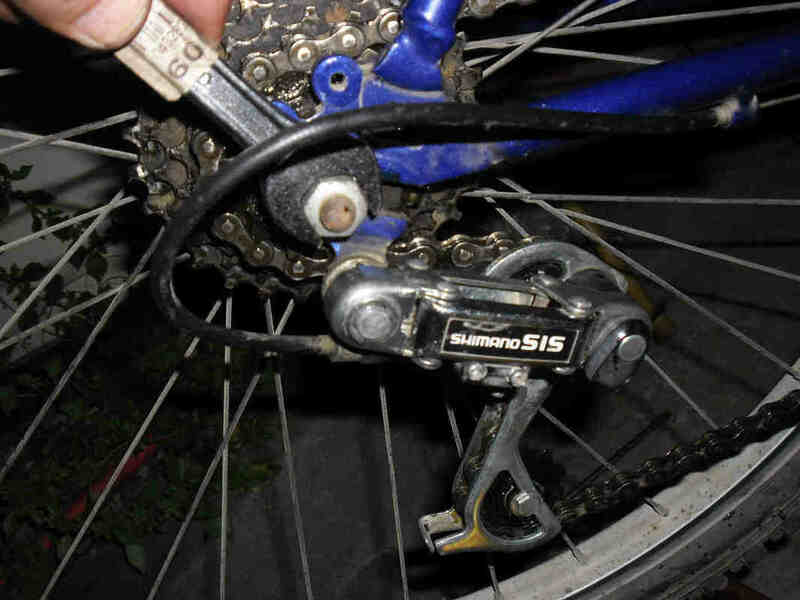 You may use this adjustment to avoid excess chain sag in between the rear and front wheel hubs (right). 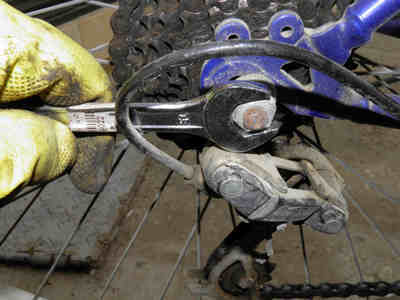 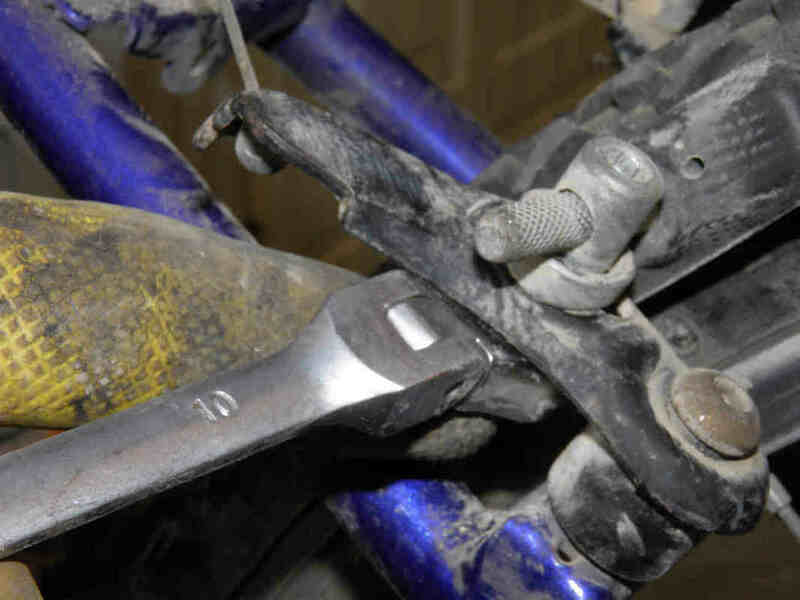 Tighten the fixing nuts equally on both sides with a spanner and refit the brake block.